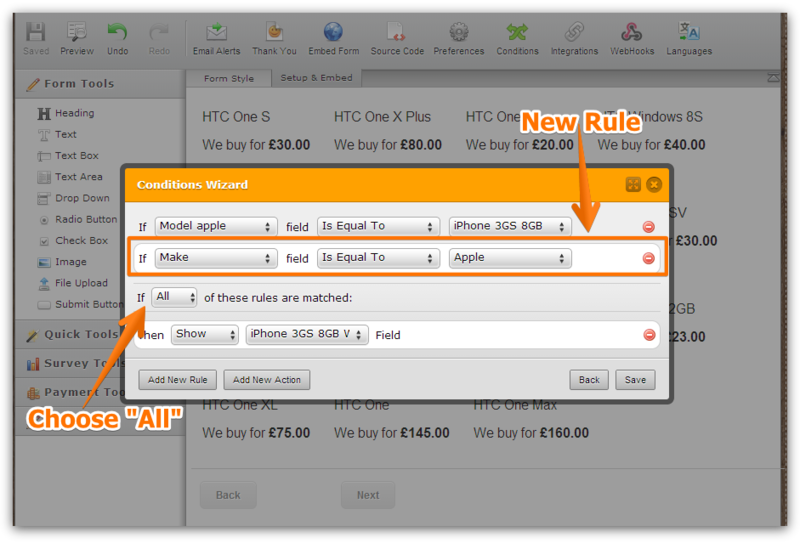 I've added conditions to my form so that when certain options are chosen on the dropdown, html text is displayed. However, on some of the options, 2 texts are showing even though I have added conditions? Update: It does this because when you select one option from the second drop down, and then choose a different brand from the top dropdown, what you chose from the bottom dropdown stays in the box so it is displayed on the html text. Any way around this? That way you are forcing the HTML Text to appear only if "Apple" and the corresponding "Model" is chosen. So, you need to do the same with the rest of your conditions to avoid the behavior you explained above. Please inform us if you need further assistance with this inquiry.